Stellar Data Recovery Chennai provides industry-leading powerful data recovery services for recovering deleted, lost, corrupted and hidden files and data across all platforms, file systems, and servers. 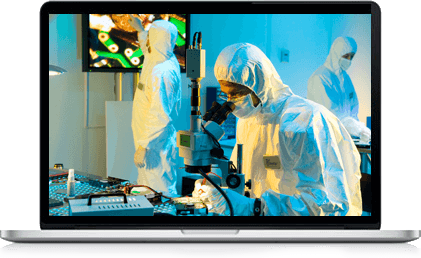 Our data recovery engineers are expert with vast experience in performing successful data recovery jobs from all types of media devices. With Stellar Data Recovery Chennai, you can get your recovered data back in the least turnaround time & at an affordable price. Stellar Chennai possesses a wide range of data recovery abilities, including hard drive recovery, SD card recovery, server recovery, RAID recovery, pen drive recovery, email recovery, photo recovery and file recovery. Our data recovery jobs largely catered to the several data storage-types such as External/Internal Hard Drives, SSD, SD Cards, Servers, Mobile Phones, Laptop/Desktop etc. with hard drives being the most affected media. We serve both corporate & Individuals in bringing back their important documents, files and other confidential data from catastrophic data loss situations. Accidentally deleted important files, folders, photos and other data files from an external hard drive, SSD hard Drive or internal hard drive. We can help! We can recover all deleted data from all types of hard drive failure and their types. Our data recovery engineers has years of experience in recovering data across multiples hard drives and in all types of RAID servers. Stellar Data Recovery has a proven success track of data recovery from all types of servers, including RAID Servers, File Servers, Application Servers, and Web Servers. We have proprietary tools that guarantee the erasure of every bit of data from the hard drive and other storage media. We leverage proper data sanitization methods to securely wipe out all data. Take Stellar’s IN LAB Data Recovery Service lab tour. The data recovery from critical hard disk is easiest one in Stellar Data recovery, Chennai. If you make one call to Stellar, they will take care from Pick up to Deliver the recovered data . The follow up is very nice up to Deliver the data. We can trust Stellar data recovery if any kind of critical data recovery. Harish, based out of Chennai, the capital city of the Southern state of Tamil Nadu. Mr. Harish used to save all his data on a SATA hard drive (Model No. : ST3500820AS and a Serial no: 5QM206ZA). One fine day all of sudden without any warning his drive become undetectable.